Spanish lesson of the day : ¡Sangria! My grades are in, the school year is over, so it was time to get the party started but I have one more little lesson to do with you! As a profesora de español, it is my duty to tell you that Sangria is a typical drink from Spain and Portugal and the name comes from "sangre" (blood), referring to the color of the red wine. 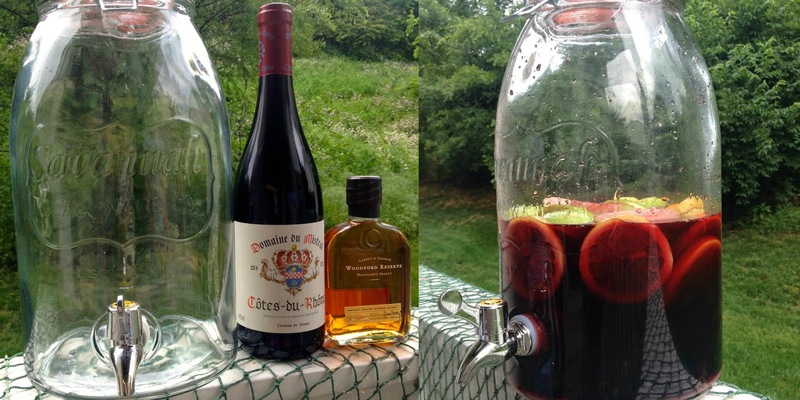 We had been wanting to make Sangria forever, but always remembered to do it on a Sunday and here in TN you can't buy alcohol on Sunday so... wa wa! Nevertheless, we got our act together and gathered all of our ingredients to make our batch for the holiday weekend. You can put whatever kind of fruit into Sangria. We put grapes, sliced peaches, apples, lemons and oranges. Make sure you serve it over lots of ice to make it super cold and refreshing and garnish it with some of the fruit slices. So that's your Spanish lesson for the day. Two words of caution: pace yourself! This stuff tastes so good and goes down so easily that before you know it, you might need a siesta! 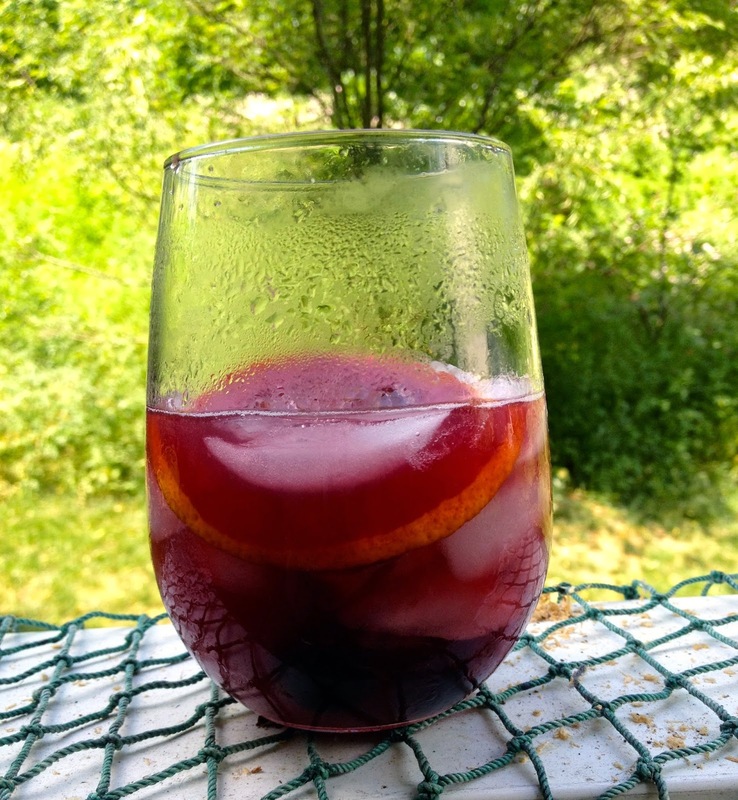 I love sangria, the best I've had was in Valencia but homemade versions are pretty good too. It's no simple to make. A jug of English Pimms always hits the spot for me! Mmm! I'd like to try this recipe - have had sangria but never made it. First time was at this remote, little-known beach (inaccessible most of the year) of Money Bay, Norman Island. A few of us, bored and hot from windless, muggy, buggy September days, motored over there one Sunday to chill. More and more people showed up and suddenly there was a party - as happens routinely in the BVI.. ;) Our friend arrived with a large cooler full of his famous sangria! I can't look at a cooler now without thinking of all that yummy sangria and fruit floating around! Good times. Yours looks delicious and refreshing.